On iPhone X and later, go to Settings > Face ID & Passcode. On earlier iPhone models, go to Touch ID & Passcode. You’ll be asked to enter your current passcode. Scroll down to “Change Passcode“. You’ll be asked to enter your old passcode. When asked to enter your NEW passcode, select “Passcode Options“. Enter your new Alphanumeric Code which can be up to 34 characters long. Re-enter your new Alphanumeric Code to confirm. 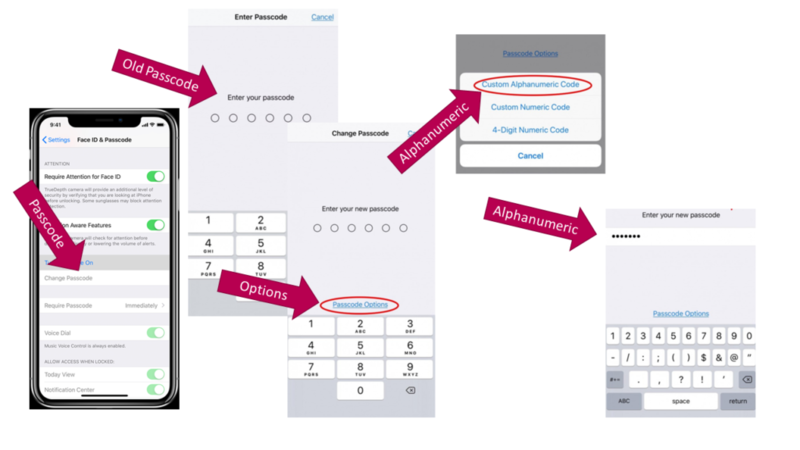 Now when asked to enter your Passcode you can use the new Alphanumeric Code. It should be much more difficult for someone to access your valuable information on your phone.